So you make sure you buy organic food and you keep an eye out for organic clothing where possible, right? So what about going the whole hog and making sure your eating accessories are organic too? Eat, spill and be happy is the logo behind American-based company Mimi the Sardine. Established over twenty years ago, their aim is to create earth-friendly and well-made products for kids to make their mess on and in! You name it, Mimi covers it, from bibs to aprons and spill-mats to lunch bags. They are all made from organic cotton with a water-based acrylic coating rather than the more environmentally damaging PVC. 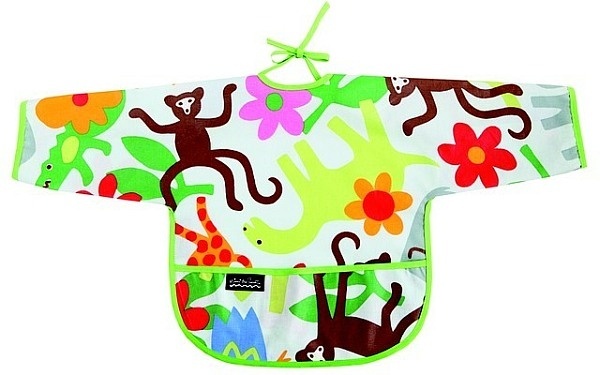 Completely washable, there is an attractive range of patterns and illustrations – I love the jungle print in particular. 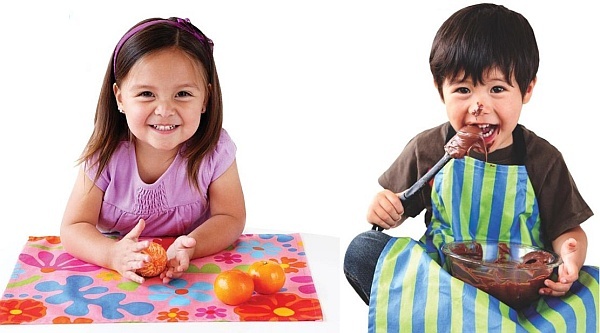 Prices start at NZ$26 for bibs up to NZ$75 for the spill-mats, plus shipping costs from New Zealand stockist Plush Toys. You can also buy a selection of the Mimi’s range here in Australia from Itty Bitty Greenie and Little Voice.